Here are 11 of the easiest, tried-and-true, plants to grow in your garden that will provide all-year-long interest – and a few to stay away from. Do you need plant recommendations for your garden that are really real? 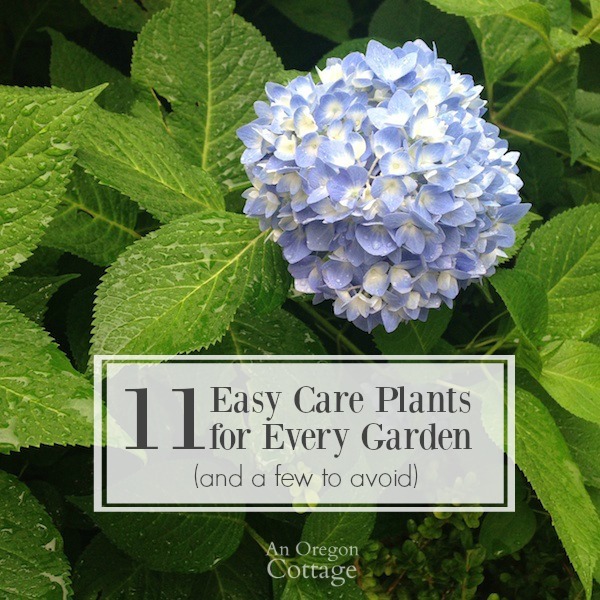 Not just some list that’s been reworked from a magazine or garden website – a tried-and-true list of plants to grow in your garden that you can trust are the lowest maintenance, longest living, and provide a long bloom or garden backbone. That kind of list? What would I always plant again – and what would I avoid? 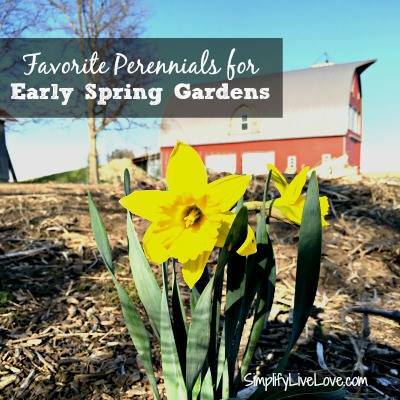 The other thing that I think you’ll appreciate about this list is that these 11 perennials and shrubs provide all-season interest. 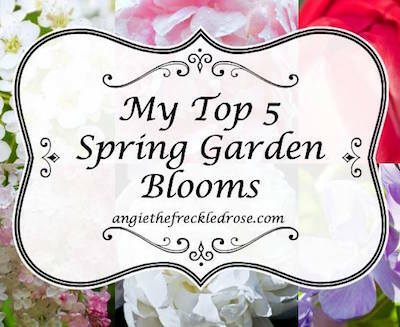 Meaning, if you planted only the plants on this list, your garden would have something blooming from February through October (maybe even November in milder climates) and even have some evergreens to provide winter interest! This is different from my previous favorite plants lists (which you can see here and here to compare! 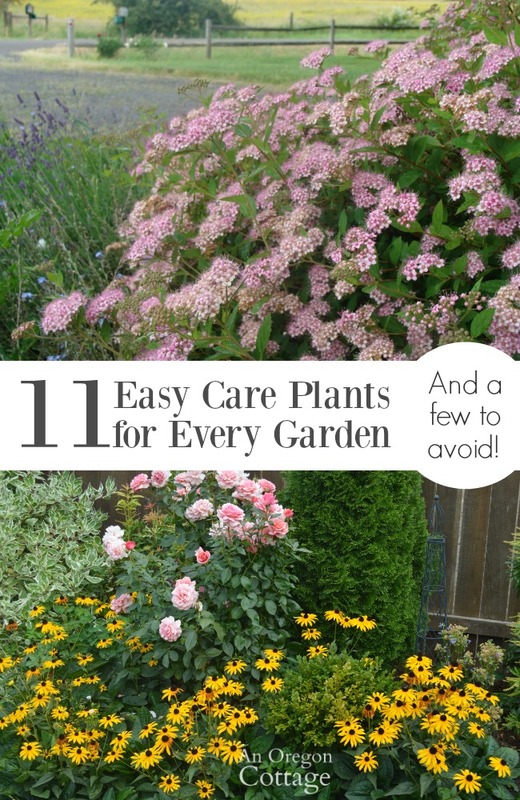 ), and time has sharpened my view of good-vs-bad plants, which is why I’m also adding a few plants to the end of this list that I will NEVER plant again. Live and learn, right? 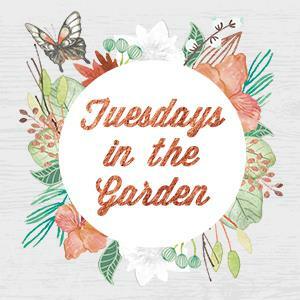 And, since this is also a Tuesdays in The Garden, you will find even more plant recommendations from our group at the bottom of the post. I love seeing what others are growing and why, don’t you? I will never have a garden, even the smallest bed, that doesn’t include these bulbs. The only- and I mean only- hard part of planting bulbs is to remember to plant them in the fall. They are truly one of the only “plant and forget it” flower, coming back every year (well, some varieties of tulips don’t, but you don’t have to plant those…) with no further care other than cutting back the leaves after they’ve turned brown. Best Varieties: Any daffodils and grape hyacinths, but for reliable yearly blooms look for Darwin Hybrid Tulips. They are larger and come in a lot of colors (the pink tulip above is a Darwin) and never have to be replanted – a true perennial tulip. 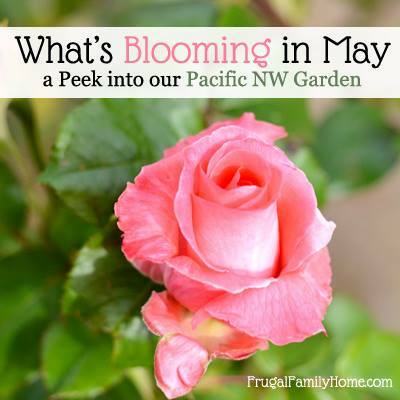 This pick is no surprise to those who’ve been reading AOC for awhile – I like to champion this little workhorse plant since it is so pretty, both when it’s blooming and when it’s not, since it’s almost evergreen in our garden. The most wonderful thing about this, though, is that it grows happily in dry shade, one of the hardest-to-grow areas of any garden. It does need supplemental water in the driest months, but that’s it for maintenance, basically. 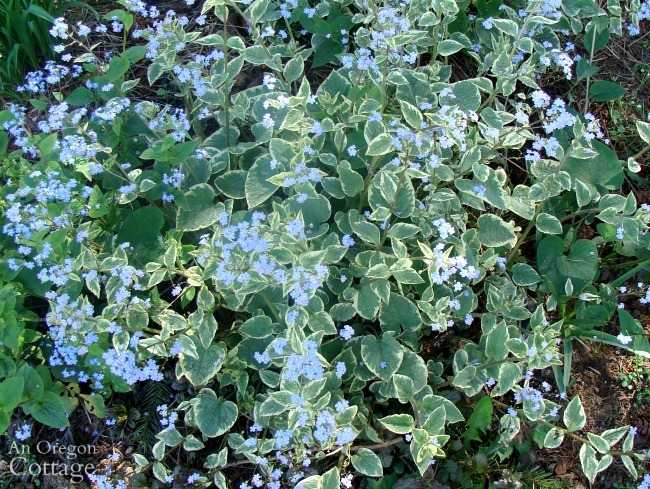 Best Variety: ‘Jack Frost’ Brunnera, pictured above has glowing variegated leaves – and most importantly, doesn’t reseed everywhere like the common green brunnera does. 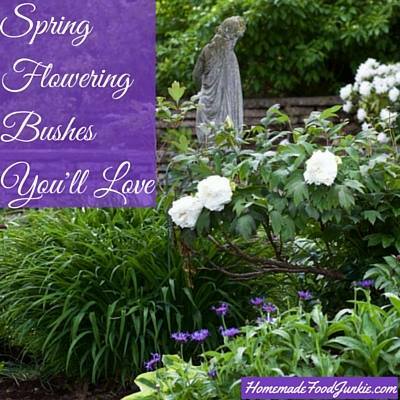 There are so many varieties of this popular perennial in shades from white all the way to deep purple and blooming from just a month or so, to all summer long, that you’ll easily find something for your garden. I’ve grown a couple and they are a pretty perfect low-growing plant. Best Varieties (highly subjective, as most are great! 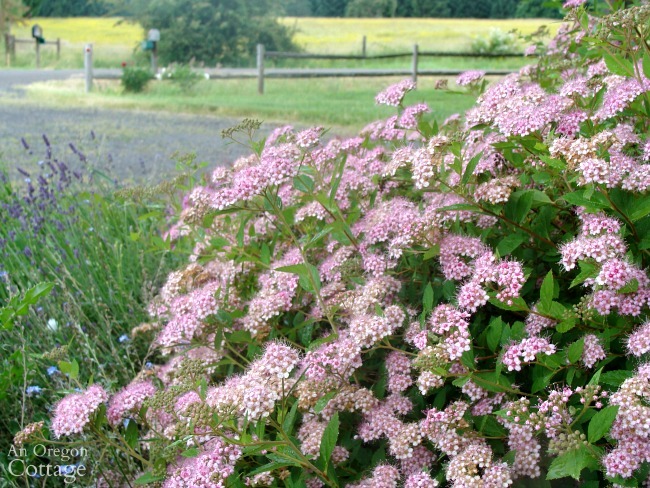 ): purple ‘Rozanne’ (June-Sept.), white-pale pink ‘Kashmir White’ (May-July), and pink ‘Tiny Monster’ pictured above (April-July, with sporadic blooms after shearing into October). 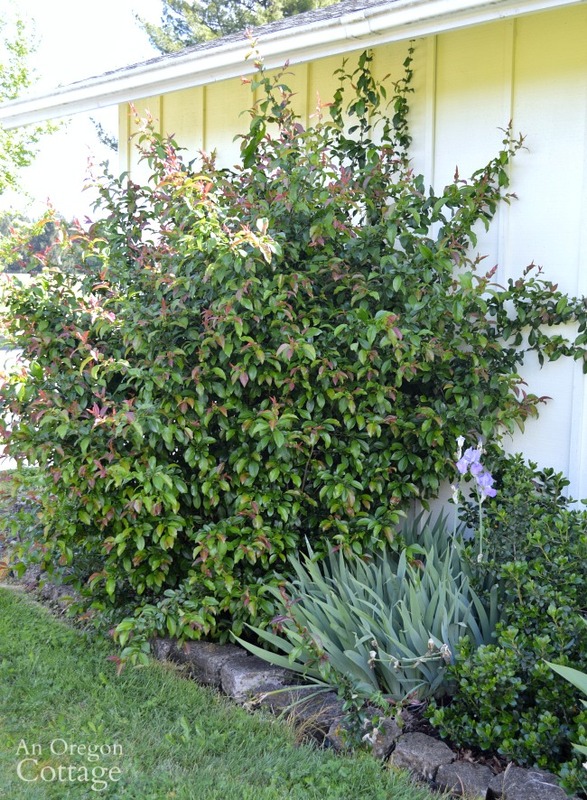 Note to ‘Tiny Monster’- it really does get huge, so the price for the longer bloom is that there’s more maintenance to keep it in check with shearing – I actually use a hedge trimmer for this plant! 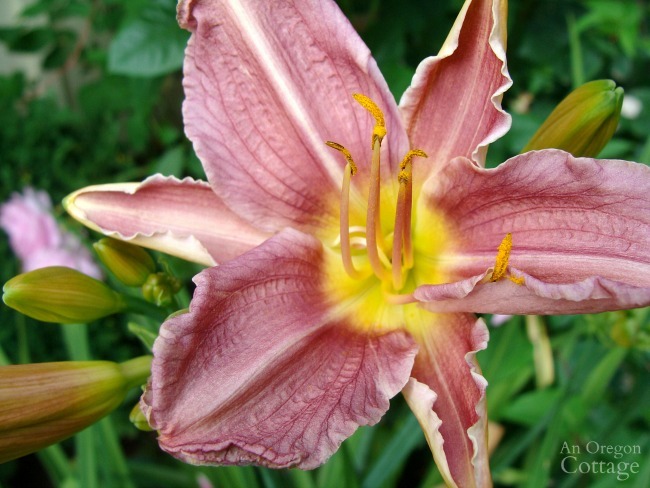 I’ve grown a lot of daylilies over the years and my favorites are the pinkish varieties like I show here, just because they’re different from the normal orange or yellow. I do, however have the small Stella d’Oro yellow daylilies, since they bloom all summer long and the leaves just look great in a bed with other plants. I’ve had to deadhead and pull off brown leaves, but that’s about it for maintenance – and when they’re blooming, they’re stunning. There are quite a few spirea shrubs, many of which bloom in spring like Bridal Wreath (which I have too), but I love this pink blooming shrub pictured above the most. It’s about 4′ tall and wide, it blooms June-July and then will bloom again if sheared back. And although they’re listed as full sun, I have 4 that are in partial to almost full shade and still bloom. Love. Hydrangeas hold a special place in my heart, as I know they do for many others. Blooms that start out blue, white, pink, and green will change colors as they age to purples and mauves. They provide so.much.beauty for so little little time investment. Basically, you cut them back in winter and that’s it other than basic soil improvement like papering & mulching. If you have no other blooming plant, this one will give you enough for cut flowers all summer long. 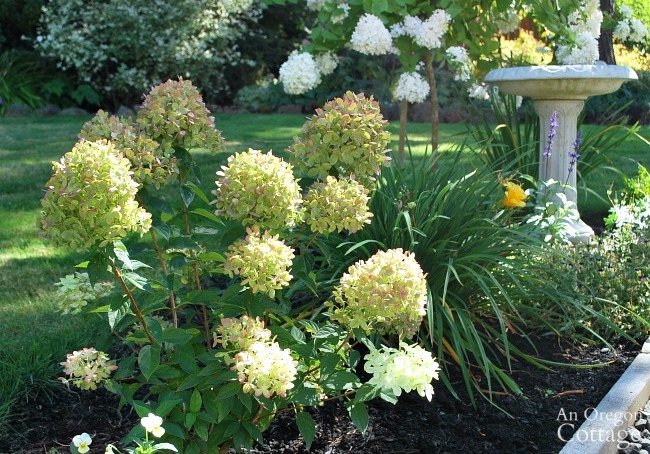 Best Varieties: ‘Little Lime‘ (pictured above, front), ‘Pee-Gee‘ (pictured above in back, trained as a standard), and Endless Summer (pictured at the top of the post). Black-eyed Susans are so cheery and provide color at a typically dry time in the garden, July & August. I would always have a stand of them in any garden for that reason alone. 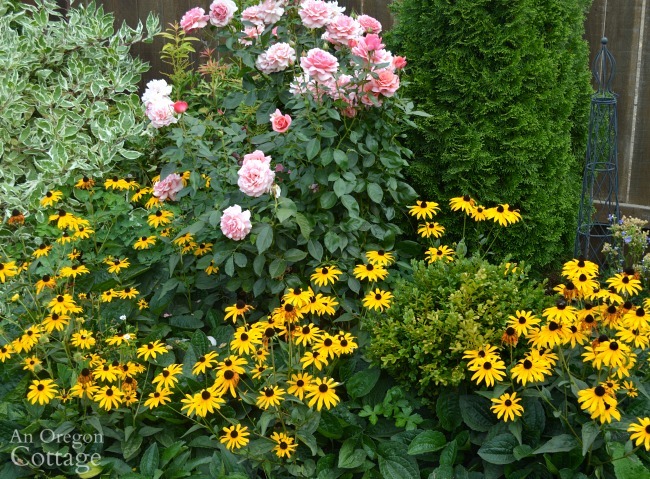 They also spread nicely – not enough to overtake anything, but just enough to fill in borders, like in my garden above. 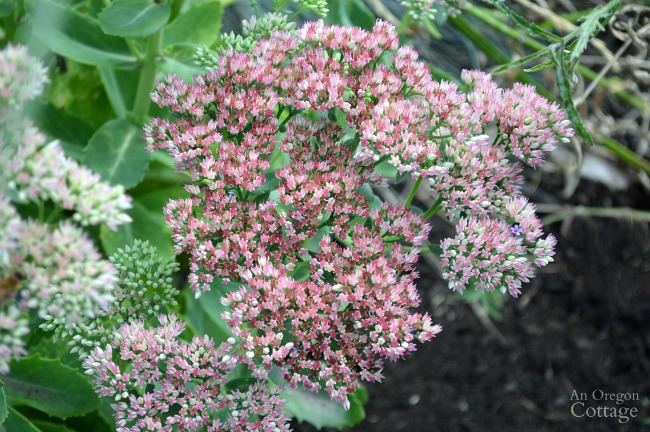 Not the cacti-type sedums, the perennial sedums like Autumn Joy are soft with fleshy leaves and long-blooming flower umbels that start out green and slowly change colors through pink to dark copper. They fill a great spot in the late summer-autumn garden and make good cut flowers, too. Most people think of autumn flowers as mainly hot colors like orange, red and yellow. 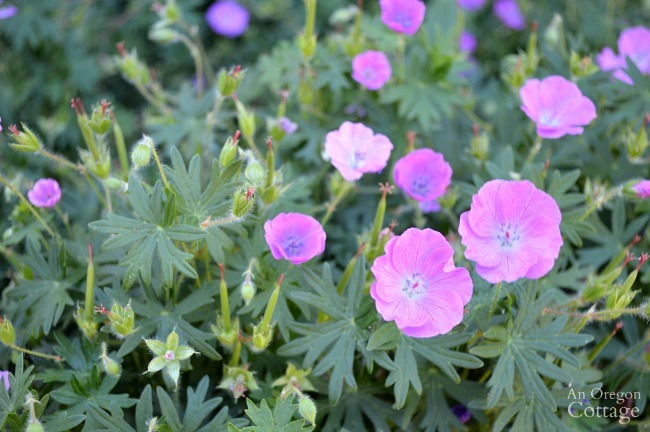 These two fall blooming perennials prove that pastels can work in autumn, too. Asters are classic fall plants and come in a number of colors (including red), though the purple is my favorite, and I appreciate the texture from the needle-like foliage. And Japanese Anemones? They will steal your heart with their happy blooms swaying in the fall breeze high above their leaves. Found mostly in pinks and whites, they make wonderful cut flowers. To be honest, the anemones take a bit more maintenance than the others on this list, since they spread pretty rapidly and have to be pulled up pretty consistently. But totally worth it. 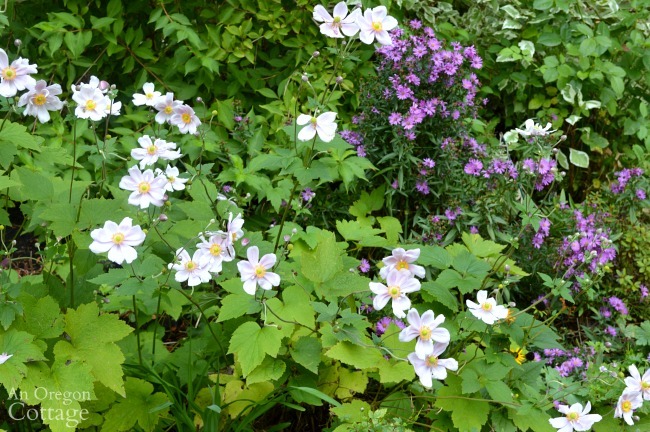 Best Varieties: ‘New England’ Aster, ‘Italian’ Aster, ‘Queen Charlotte’ anemone (light pink), and ‘Honorine Jobert‘ anemone (white). To provide a bit of winter interest when the perennials have died down and the shrubs are sticks, boxwood is my go-to evergreen. I have planted full-sized boxwoods in some places, but they do require regular shearing so they don’t look scraggly or take over an area. Dwarf boxwoods always look great so they are perfect for any size garden bed. 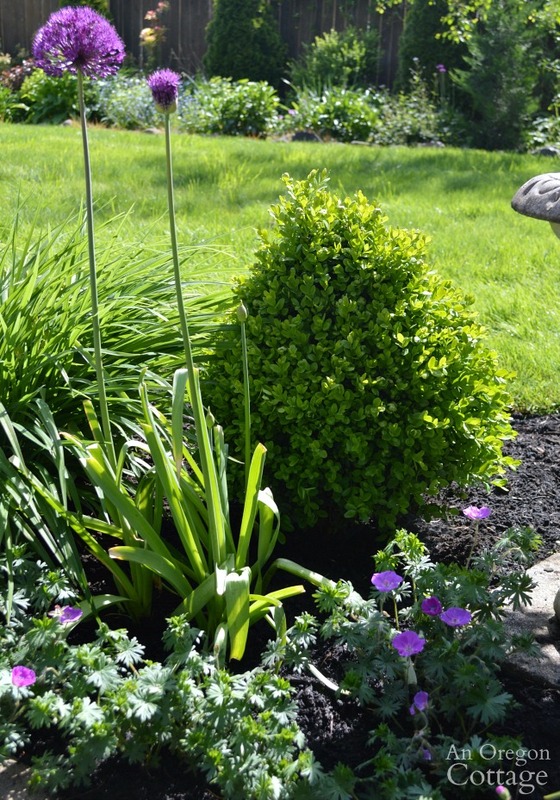 This is probably not popular, since they are a really fun plant and edge a bed with a gray-green color that seems to go with everything, but they are SO invasive that I will never plant them again. I’ve actually had them in my gardens for many years, trying to make them work because I just love the fuzzy leaves and glowing color. I even keep the flower stalks cut down to help them look a bit neater. But I’m just tired of trying to keep them in check, and the hours it takes to refresh them each spring. I’m just saying no – finally. Here’s another that many may not agree with, but I cannot get these to grow nicely for me. They are planted in a moist shade area (it usually grows moss nearby, a-hem) and get regular water during our dry July-September months and they’re still dried up brown stubs by the end of July. With no blooms. Not worth it. Oh, it’s sad for me to write this, because I’m in love with quince blossoms which are not only pretty, but bloom in February when I’m so ready for their sweet pink flowers. But this shrub is horrible, really. It’s full of inch-long thorns that hurt, it suckers like mad – even into the grass and nearby plants, AND it grows out of control when planted where it’s happy. This shrub you see above? I used a hedge trimmer last summer and hacked it back (and got some nice scratches to go along with it) to a nice 4′ x 4′ size that I thought would last awhile. Um, obviously no. “But they’re so sweet – look at those little periwinkle blooms!” Just don’t do it, no matter how quaint and old-fashioned they seem. They start out small and sweet and soon take over your garden – and any other garden space their clingy little seeds can find. I’m trying to forget them. What are your thoughts on this list? I hope you’ll chime in with your favorites and those you won’t plant again, too- either here, on AOC’s Facebook page or Instagram! Be sure to check out even more plant ideas from our Tuesdays In The Garden group at the links below! Thanks for the list. Hmmm….we’ll have to wait and see on lamb’s ear. I live in a colder zone than you, Massachusetts 5b, so I’m not seeing it being very invasive yet. I so agree with Forget-Me-Knots. Lovely in the spring but they take over the garden with foliage turning black in the heat of summer. I’m still pulling them 4 years after planting just a couple. Another nightmare, courtesy of the birds is wild violet. Literally hundreds growing everywhere. And let’s not forget vinca minor. I tend to kill these invasive plants with a thick layer of cardboard until they’re smothered and always line my beds with newspaper topped with mulch. A successful weed killer is straight bleach. I have used this to kill thorn bushes and poison ivy. My husband works for a utility company and this is what they use as a weed killer since Round-up is so environmentally damaging, especially to aquatic life. Bleach breaks down to salt so more environmentally friendly. Yeeesss to the wild violet – I fought that the whole time we lived at our other house. I think the previous owners had actually planted it as a ground cover, arrrgh. Jami, sadly sometimes we have to use the lesser of evils. I have read that 20%? vinegar works really well as a weed killer but it’s very caustic so recommended to wear goggles, gloves, the works. I try to smother if at all possible but we have some nasty thorn bushes growing up a steep hillside that’s too treacherous to climb so smothering isn’t an option here and the thorn bushes are now even growing into the gardens. Arghhh, indeed. Yes, there are some instances where it’s not at all as easy as the garden experts say (I can’t tell you how many times I’ve read just to “pull the weeds”). Our issue is invasive blackberry which sounds a lot about your thorn bushes. They have to be taken care of or they will take over and they can’t be pulled, obviously. You convinced me. And I did a Google search as well. 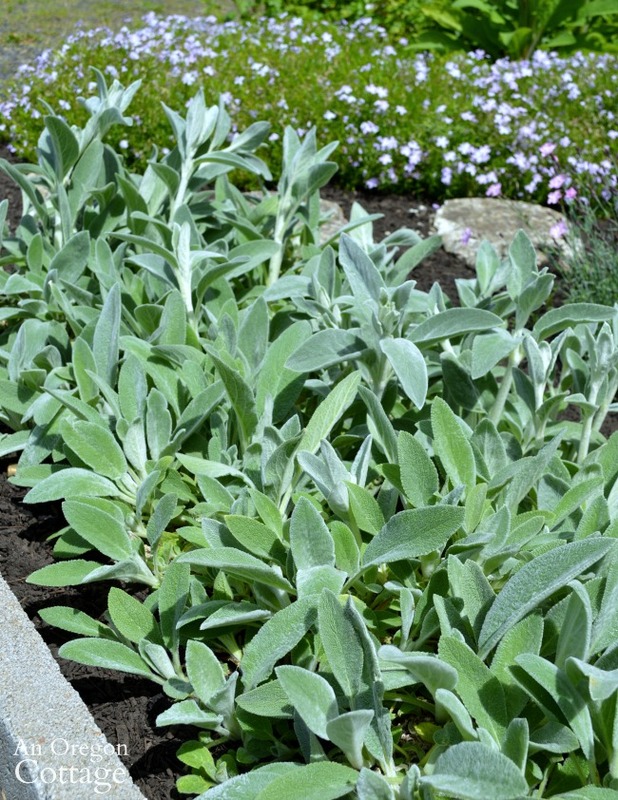 I’ll dig up my newly planted Lambs Ears! I adore them, but I’ve dealt with far too many invasive plants to cope with another. Here are a few others I’d steer people away from: St. John’s Wort, Lily of the Valley, Plumbago, and certain types of Euphorbia. Gardening is a miserable venture when you have to spend a lot of the season digging up plants that have spread everywhere! I’m definitely picking up some Brunnera, though! I should warn you that common brunnera reseeds a lot – you’ll want to stick with the ‘jack frost’ variety – it never reseeded for me. Awesome post Jami! 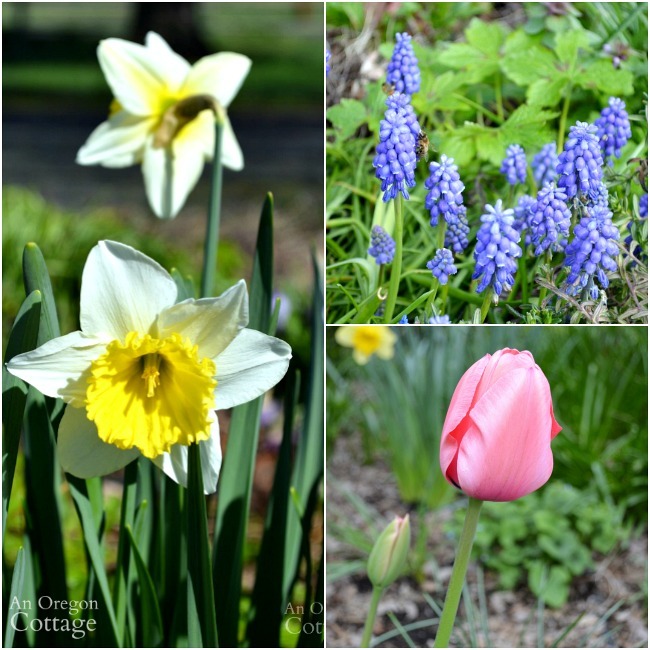 I am a lover of spring bulbs as well. In February, I start counting down the days until I get to enjoy the first crocus blooming. I really enjoy Darwin Hybrid tulips as well. I definitely need to plant more this fall. They always get moved around and disturbed over the years no matter how hard I try to avoid that. I have never grown Bunnera, but now I really want too! I have an area in my yard where nothing seems to grow but hostas. I’m definitely going to put this on my list! Sad that the late frost seemed to get to my daylilies this year. Who knows, they may bounce back though! I’m trying to enter the intimidating world of growing hydrangeas. I’ve just never had amazing luck. Trying out a few new varieties and planting soon. I adore New England asters as well as dwarf boxwood. Such great picks! Thank you for the warning about Lamb’s Ears. Didn’t know they could be so invasive! Many people enjoy Bachelor Button (and I don’t blame them! ), but they have become invasive in my yard. They spread like crazy and end up in the wrong places! Tried getting rid of them several years ago to no avail. I do think they are pretty, just a bit too persistent for me! Oh, yes, bachelor button – I grew those, too, in my first garden Angie and they were too persistent for me as well. 🙂 I hope you have good luck this time with hydrangeas!! Hydrangeas are my go to! How can you go wrong with big beautiful blooms that last that long? We have a few different varieties planted at our farmhouse, and it’s hard to choose a favorite! I know – I have 12 and it’s hard to stop! Great post on the plants. I can even grow many of them here in my garden (zone 3b, sometimes pushing the microclimate in the city to 4a). I would like to add one plant to your ones to avoid – Hops! I got a few roots from a friend, the plant was relatively well behaved in his yard. I had planted it to climb a section of chain link fencing. My biggest mistake was planting it in the first place. I am constantly pulling/digging/killing it. It is all over my yard now. I am determined to erradicate it this year. I have given roots from this same plant growing wild in my yard to others & guess what, it behaves or even winter kills. If anyone has a sure fire method for killing this monster (other than Round Up) please let me know. I would love it if you could please come over and join us on the Homesteader Hop. Hi Jami, I’m standing up for the rhody here! They make great perimeter or island plantings. Put them into an evergreen hedge row. I love ours out and around the driveway. I agree they are not the best choice for foundation plantings. They get overgrown, unless you have small varieties. Your list has so many great ideas! Some of my favorites for sure. Hydrangeas are amazing! Love bulbs and even the astilbes; which do well for us up here. Do you have luck with poppies? Mine are about to bloom. I have the california single pinks. They are so pretty! Ha! I do enjoy looking at them, Diane – and you’re right, rhodies make wonderful property edge plants. I wonder why so many people planted them right next to foundations? I’ve had poppies in the past – they aren’t very long-lived for me. Don’t know why! 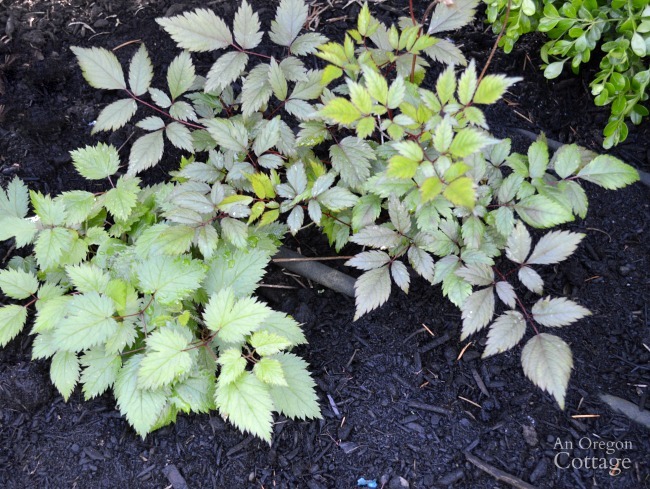 I had good luck with Astilbe in a container until it dried up two summers ago – what, I was supposed to water it? LOL it was an awfully dry summer that year. It did take it two years before it really did anything but, it was really beautiful when it did bloom though. Sorta like Sweet William, which I adore the old vintage TALL Sweet William. Your Quince looks mighty healthy, have you fertilized it with anything? My Mom’s was always by itself along the driveway in a very well-drained area and it seemed to do well without spreading too much. Though, my brothers and I probably kept the suckers well-trimmed with the lawn mower! I had to laugh at your “trying to forget Forget-me-nots” rant. I have never had them and wanted to plant some from seed this year. Maybe it is a good thing that the Dollar store ran out of them before I could purchase any. One flowering shrub that I got from my parents that I adore is my Mock Orange. It bloomed profusely this year and had the nicest fragrance. It is definitely a keeper. Blue Velvet Ageratum is another item that I will keep in my back yard. I have had two varieties come up all by themselves – one a short version and one an extremely tall version. 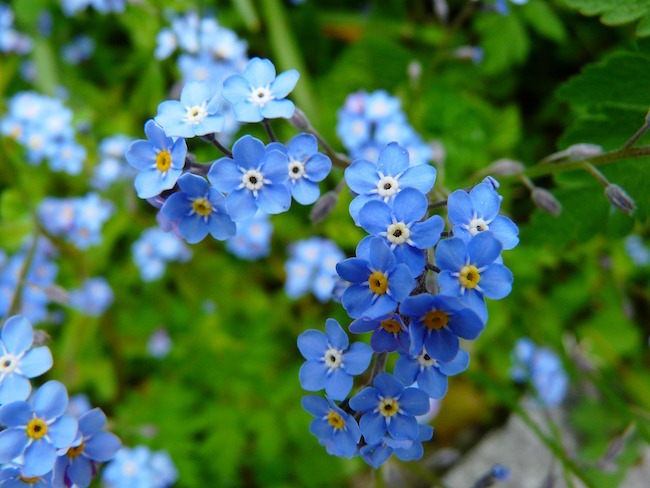 I have a weakness for Blue flowers. Thanks for your list – both good and bad. I had Mock Orange for a number of years, but one bitter cold winter did them in. They do smell wonderful! I’ll have to look into that ageratum – I’ve never grown it! We used to grow daylilies at our old house and they were so pretty. We also had a stargazer lily that was so very fragrant. I enjoy the hydrangeas we have but the rhododendrons I could do without they are a lot of work to keep looking good (that’s probably why they covered our second story windows when we purchased the house from the previous owner) and if they had not been here when we first moved in, they wouldn’t be in our garden. But I do enjoy the flowers on them this time of year just not all the trimming involved.